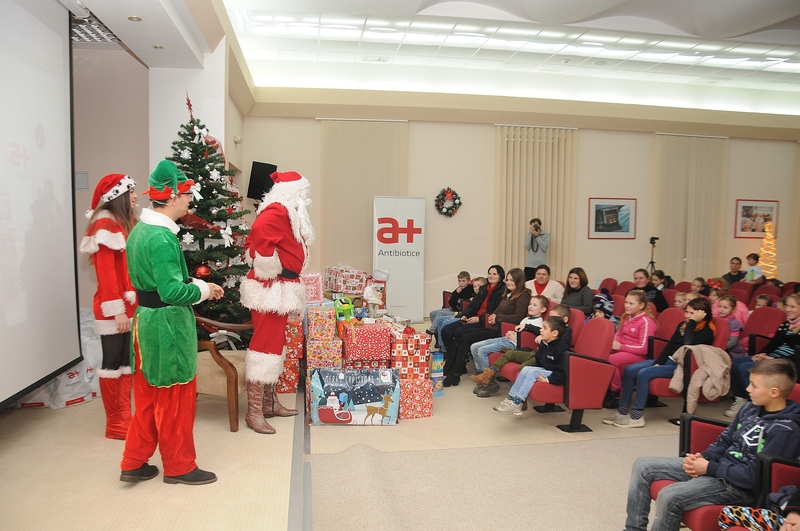 For the fifth consecutive year, the „Antibiotice – Science and Soul” Foundation in cooperation with the Pro Vita Department of the Mission Division of the Archiepiscopate of Iasi organized the campaign entitled „Give with all your heart! Be a Santa Claus!”. The campaign was intended for children with many siblings (7, 8 or 9) from several rural towns of the Iasi County, i.e. Cuza Vodă, Vlădeni, Traian, Dobrovăț, Mogoșești Galata, Bivolari, Șerbești, Feredeni – Deleni. The eighty children aged 1 to 14 wrote down everything they wanted to receive from Santa. 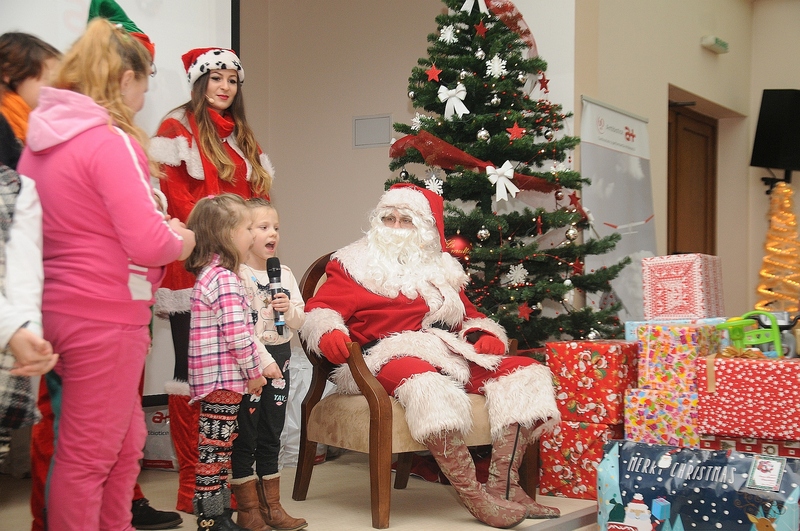 Their moving letters got in the hands of Antibiotice’s employees who undertook the roles of Santa’s elves enthusiastically and granted the children’s wishes. Coming from underprivileged home environments, the children wished for simple, basic things, such as pencil cases, school bags, clothes, fairy tale books, dolls or cars, fruit and sweets. Santa Claus and his helping elves did their best to transcend children’s expectations. “As usual, this campaign made us go back, heart and mind, to our childhood. 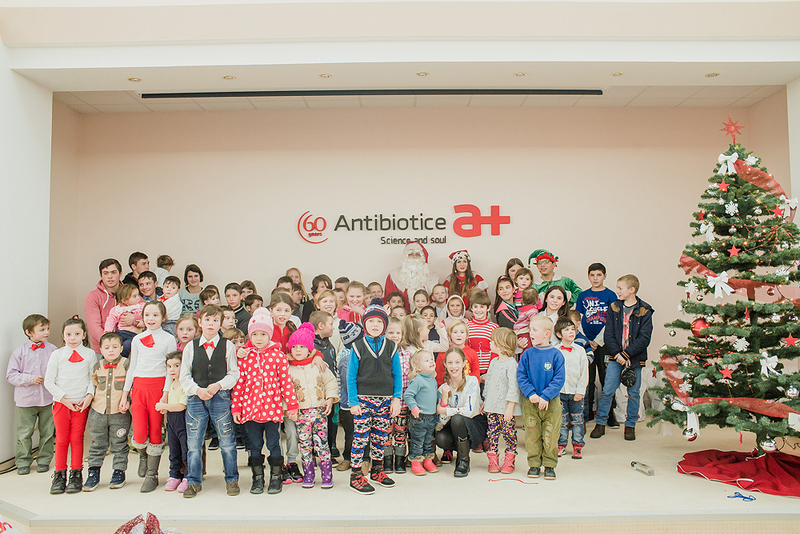 The large family of Antibiotice succeeded in offering a gleam of happiness to children who may have not ever seen Santa Claus or received Christmas gifts. Some of the children do not even have electricity in their houses. We would like to extend thanks also to our collaborators from the Pro Vita Department”, declared Ioana Tode, president of the „Antibiotice – Science and Soul” Foundation. The joyous event took place around Antibiotice’s Christmas tree on December 18, 2017. There, the children were happy to meet – some of them for the first time – Santa Claus and some of the elves who fulfilled their wishes. 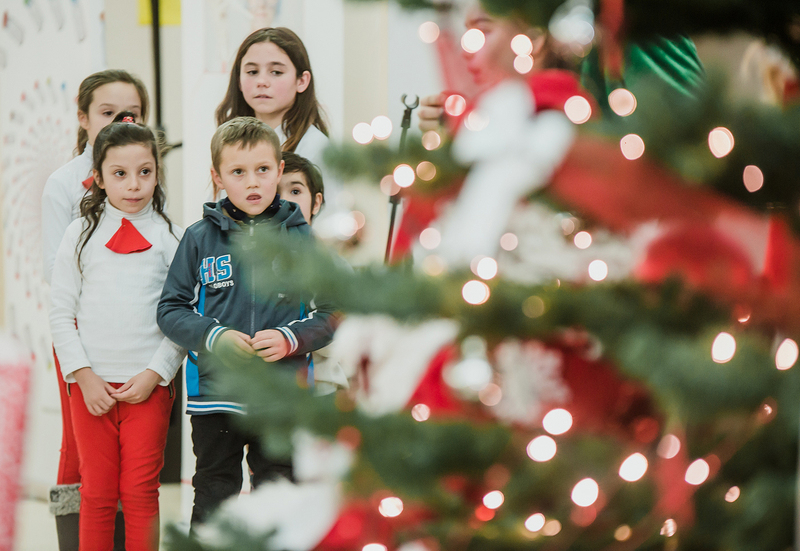 In return, as a thank you, the little ones shared plenty of bright smiles and sang Christmas carols.